Rather than bagging up yard waste to be hauled to the dump, add the yard clippings and dried leaves to the compost pile. Both green (fresh) and brown (dry) additions are valuable in order to balance out the nutrients and decompose properly without smelling foul. If most of the pile is made up of cut grass and other fresh waste, add shredded paper to add extra carbon. Any yard waste and vegetable scraps from the kitchen can be composted. Meat remnants and bones take too long to decompose, creating unpleasant odor and attracting animals. While pet waste decomposes quickly, do not add dog or cat feces to a compost pile that will be used for vegetable gardening, as it can harbor dangerous diseases. Watch the moisture level of your compost pile, especially during the summer, when it dries out quickly and stops breaking down. Sprinkling with water can moisten the pile. If you squeeze a handful of compost, it should feel damp but not drip. When the pile is too wet, decomposition is slower and will begin to smell. Adding dry leaves or newspaper can absorb any excess water. Turning your compost regularly with a pitchfork will help with aeration. The more oxygen reaches the material, the more quickly it will decompose. Remember that decomposition will create a lot of heat. The inside of your compost pile may reach 130F or even higher, but is rarely a fire hazard. Summer composting will work more efficiently than wintertime, but don’t let the cold weather stop you. 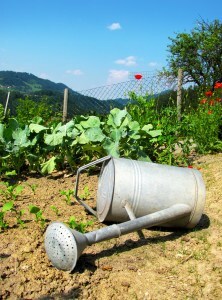 Composting is a great way to dispose of weeds from your garden. If you are going to be using the resulting mulch, make sure to watch your compost pile’s temperature. The waste needs to be brought up to a high temperature in order to kill any seeds. Using mulch from a cool pile will fill your garden with weeds. Soil enriched with compost is able to hold onto moisture more effectively. Not only will plants need to be watered less frequently than ones grown in depleted soil, but the temperature of the soil is more stable. This will permit you to plant your seedlings earlier and to extend the harvesting season. Bugs are part of nature. Don’t be scared if you see bugs in your pile. You may even fortunate enough to attract black soldier fly larvae. They look like small black worms and have ravenous appetites, often devouring the waste before it has time to decompose. The worms excrete odorless pheromones that attract the adults when they are looking for appropriate places to lay eggs, perpetuating the cycle. Additionally, when a pile has these larvae, housefly larvae and other bugs are repelled. Do not use chemical pesticides or herbicide treated materials in your composting pile. These chemicals will not prevent the waste from decomposing, but accumulate to dangerous levels in the resulting mulch. If you have a home owner’s association that prohibits composting or if you are concerned that a compost pile will attract wild animals, consider purchasing a tumber composter . These enclosed containers have a chamber to spin the contents, making it neat and effortless to care for. Even city dwellers without yards can compost. Vermicomposting, or composting with worms, is simple and inexpensive. Bins of red wriggler worms can be stored safely underneath the kitchen sink for food waste. 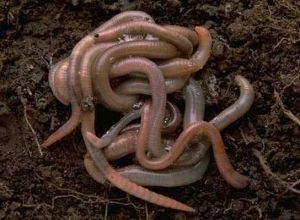 These worms can be purchased online and shipped during cool weather. Do your part to reduce landfill waste and compost your kitchen and yard waste. Not only will you be doing your part to help the environment, the resulting free mulch can be used to replace expensive fertilizers in the garden. Thanks for the tips, I would have never thought of these things. We have to be so careful with chemicals these days..